ESA Web TV. Head of the ESA Climate Office, Pascal Lecomte, talks about the inception, development and objectives of the climate office. 2016 GCOS Science Conference Global Climate Observation: the Road to the Future. 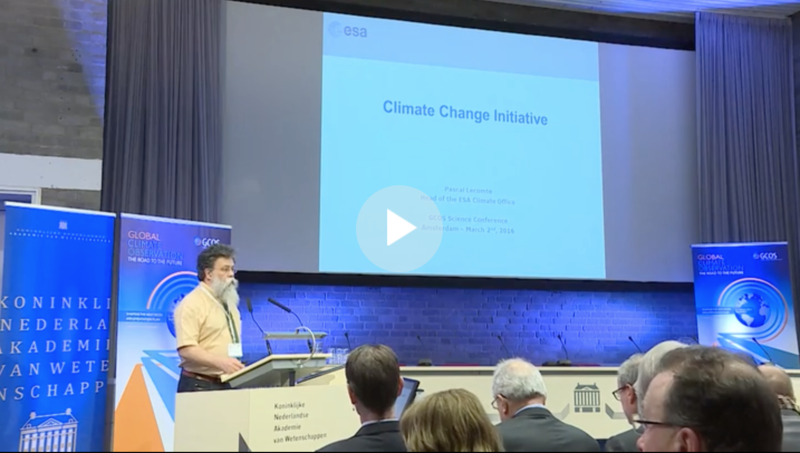 Presention on the ESA Climate Change Initiative (CCI) - Exploiting satellite archives to respond to GCOS needs; Pascal LECOMTE (ESA). 2nd March 2016. COP21. 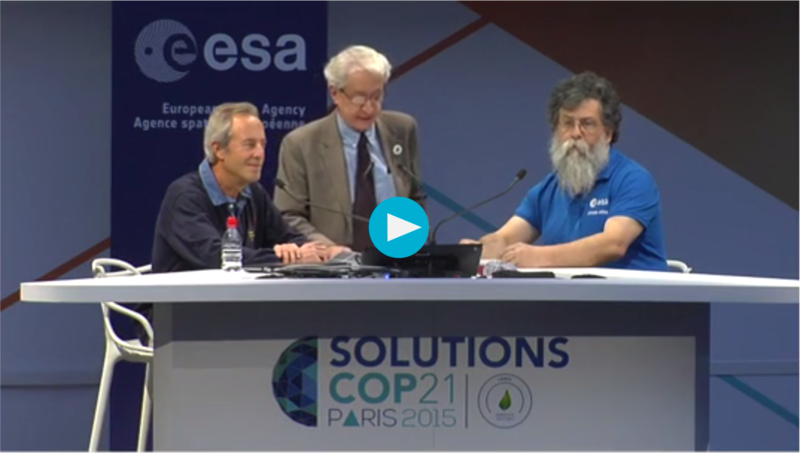 Pascal Lecomte (Head of ESA Climate Office) was interviewed for Solutions COP21 with French astronaut Jean-Francois Clervoy, and included an explanation of the role of CEOS in bringing space agencies together and its work on climate change through WGClimate. FutureLearn Course Topic on the ESA Climate Change Initiative (CCI) as part of the FutureLearn and ESA online course on the monitoring of climate from space. More details on the course available here. Space: The New View on Climate Change. Held at the Royal Society in London on 13 June 2014, the ‘Space: the new view on climate change’ event focused on climate change monitoring by satellites and the achievements of ESA’s Climate Change Initiative. Living Planet Symposium 2013. Earth from Space : Advancing Science Through CCI. Shubha Sathyendranath, Science Leader of the Ocean Colour CCI project, discusses ocean colour and the Climate Change Initiative (CCI). Living Planet Symposium 2013. CCI Session : Societal Benefits and Impacts. Featuring Eva Haas, project manager of Soil Moisture CCI. Living Planet Symposium 2013. CCI Session : Essential Climate Variable Requirements. ESA Web TV. Earth from Space: Special edition. Satellites and Climate Change Part 1. ESA Web TV. Earth from Space: Special edition. 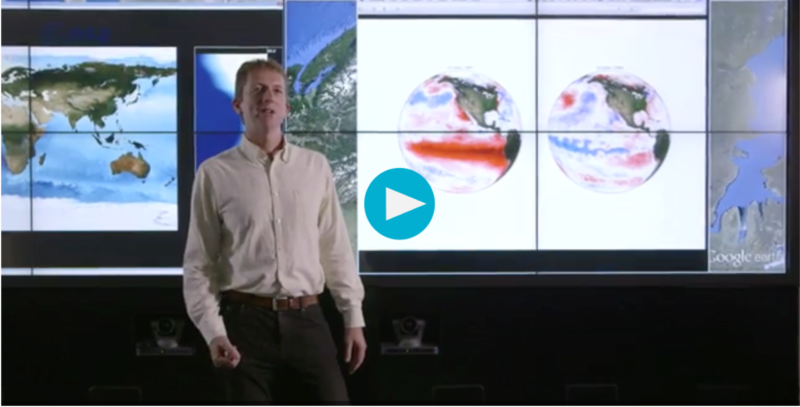 Satellites and Climate Change Part 2.